PSP - Skype or Go!Messenger? Or both? Following the recent release of BT's Go!Messenger for Sony’s PSP handheld, TechRadar spoke with BT and Skype this week to find out a little more about the advantages of each service. We first contacted Skype for a response to the recent launch of BT’s new service, which to some observers seems like it might have stolen Skype’s PSP thunder. Sue Powell, Skype's director of product management, devices and mobile told us: "The availability of BT’s Go!Messenger on the PSP has not stolen the value of Skype also being available to PSP uses. 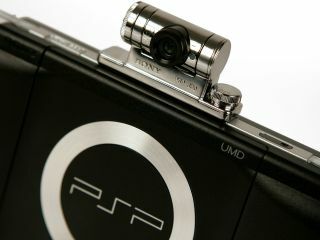 Skype is available for Sony slim and lite PSP not just in Europe but across the globe." Powell added: "With over 276 million people registered with Skype, many PSP users are already making free voice calls to other people using Skype. Skype also lets PSP users talk not only to other Skype users, but to call landlines and mobile phones anywhere in the world at very cheap rates using SkypeOut. This gives our users greater flexibility to communicate." “BT does not see Go!Messenger as directly competitive with the Skype PSP proposition and fully believes in offering choice to all customers. Go!Messenger is targeted at those PSP users who want a full and rich communication experience that takes advantage of the video entertainment strengths of the PSP. There we go then. The upshot is that you might want to use both services to see which one suits you most. If you have lots of contacts already on Skype, we suspect you will plump for that service. If not, Go!Messenger is likely to be your PSP communication tool of choice.